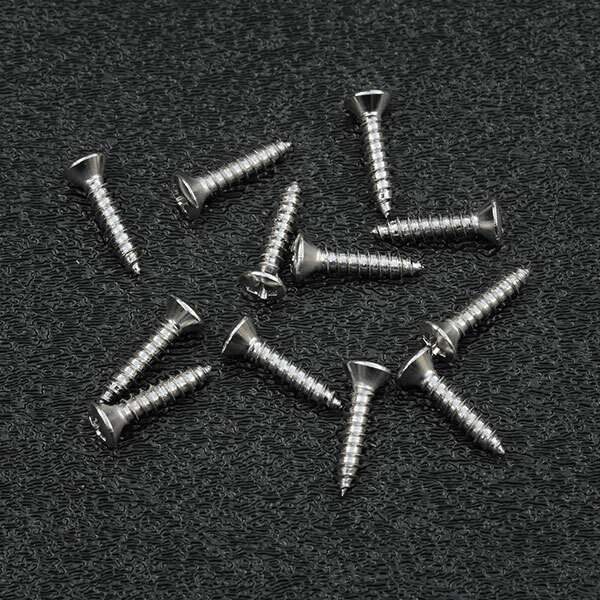 Genuine Fender® nickel pickguard mounting screws. Also used for output jack plate and back plate mounting. Sold in packages of 12 screws.